Dr. Perale obtained a PhD in Literary Papyrology at Ca' Foscari University of Venice. He worked as a Research Assistant at the University of Copenhagen (2010), was a Postdoctoral Associate at the University of Minnesota (2011-2012), and held a Marie Curie Fellowship at the University of Oxford (2012-2015). 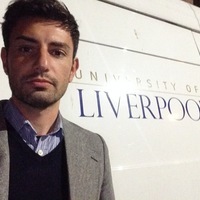 He joined Liverpool in 2013 as a Research Fellow in Classics (2013-2016) and is now the J.P. Postgate University Teacher in Greek and Latin. He is happy to supervise the work of undergraduate and postgraduate students in the following areas: Greek literature, Hellenistic and postclassical poetry, ancient and modern textual criticism, papyrology, Graeco-Roman Egypt.